WASHINGTON – Earlier this month, U.S. Senators Tom Udall and Martin Heinrich and U.S. Representative Ben Ray Luján announced that the U.S. Army Corps of Engineers has awarded $2.55 million for New Mexico acequias, including design of the Chamisal y Ojito acequia and other acequia projects if funds remain. Acequias, or community irrigation ditch systems, have provided irrigation water to thousands of small family sustenance farms for centuries. The lawmakers had pressed the Army Corps of Engineers to include in its 2016 work plan investments in Chamisal y Ojito and other acequia projects. This marks the third year in a row that the Army Corps has funded New Mexico acequia improvements in its work plan. The 2015 work plan included $3.35 million to fund the Llano acequia construction costs and other projects. In 2014, the work plan included $530,000 for the Villanueva acequia in San Miguel County. "The acequias hold historical and cultural significance for many New Mexico communities, and I'd like to thank the Army Corps of Engineers for this funding to help strengthen the economy and support the acequia program including Chamisal y Ojito and its members," said Udall, a member of the Senate Appropriations Committee. "I'm proud to support our state's traditional communities and fight for smart investments in our water infrastructure as a member of the Senate Appropriations Committee. I will continue to push for resources to help New Mexicans use water more efficiently and find long-term sustainable water solutions that enable our communities to prosper." "The Army Corps of Engineers has been integral in helping New Mexico's communities address their water needs," Heinrich said. "Acequias are the life blood of New Mexico's rural communities. 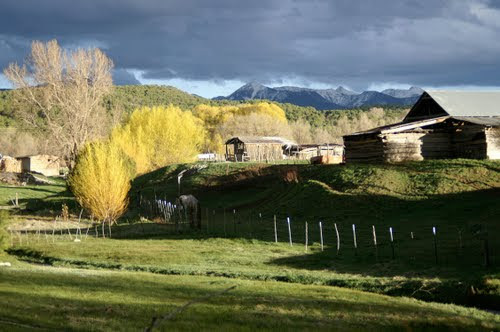 I'm pleased this smart investment will support the acequia system in northern New Mexico, including the Chamisal y Ojito acequia project which will help provide a secure water supply and help support New Mexico's rural economy." "Acequias do more than sustain our crops and water our herds. They are a part of who we are as a people, our culture, and our deep-rooted history," Luján said. "That is why these federal funds are so critical to our communities in New Mexico, and that is why I will continue to advocate for investments that will help protect our precious water resources and strengthen our acequias." The construction contract award date for the Chamisal y Ojito project will be determined during the design phase. The acequia projects are funded through the Army Corps of Engineers' discretionary fund for flood control, which the lawmakers successfully pushed to include in last December's omnibus appropriations bill for fiscal year 2016.